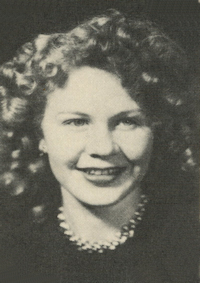 Obituary – Chartier, Mary Ellen (Wilda) « Perry High School Alumni Association, Inc. 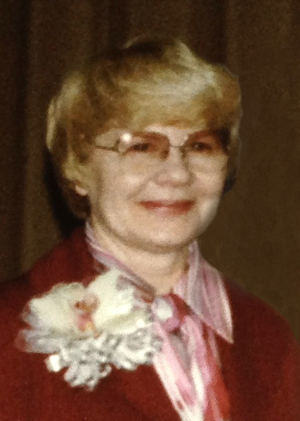 The funeral for Mary Ellen Chartier, 59, who died Mon., Feb., 24, 1992, at Enid Regional Hospital, will be at 2 p.m. today (Thursday) at the First Baptist Church of Hennessey. Dr. E. Don Rogers and Rev. Danny Marney will officiate. Burial will be in the Hennessey Cemetery under the direction of Cordry and Son Funeral Home. Mrs. Chartier was born April 27, 1932, in Marland, Okla., to Joe and Sally Wilda. She graduated from Perry High school with the class of 1950. She and Lee Chartier were married in Perry May 5, 1951. They moved to Hennessey in 1964, where she assisted her husband in running Lee’s TV and Radio until their retirement. Mrs. Chartier was a member of the Lioness Club, First Baptist Church and an avid bowler. Surviving are her husband, Lee of the home in Hennessey; one daughter, Teri Lee Ward, and her husband, Charlie E. Ward of Enid; one granddaughter, Veronica; two grandsons, Shane and Erik Ward of Enid; her mother and father, Joe and Sally Wilda of Perry; two brothers, Jim and Bill Wilda of Perry; one sister, Helen Bristol of Perry, and a special friend, George Hancock of Hennessey. Memorials may be made through the funeral home to Hospice Circle of Love in Enid.